How the hell did Jem and the Holograms all of a sudden become my absolute Must-See movie, even though it has yet to shoot a single frame of footage Here’s how. Earlier in the day, Jon M. Chu’s musical adaptation of the glitzy 80s cartoon cast uber-cool Juliette Lewis in a mysterious role. Then, this afternoon, they added an 80s icon to the cast. Where do I pay for my ticket? Molly Ringwald has joined the cast of Jem and the Holograms, according to The Hollywood Reporter and, right after, the actresses’ Twitter. Much like with Lewis, the part that Ringwald is playing is being kept under wraps. Here’s what we do know about the movie. It’s being described as a "modern" take on the animated series, which followed Jerrica Benton and her alter ego, Jem, who fronts an all-girl rock band. 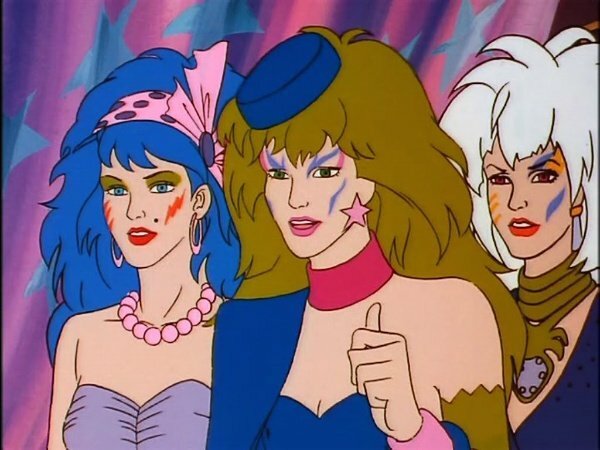 Did you watch Jem and the Holograms back in the day? Casting Molly Ringwald continues the question that was raised when we reported on Juliette Lewis for Jem and the Holograms: namely, will there be an older, wiser rock outfit for Jem and her bandmates to compete with/learn from? It’s very possible that Jon M. Chu is envisioning an older version of The Misfits, a band who frequented the Jem episodes. Or, as Gabe points out, Ringwald and Lewis could be recruited to front The Stingers, another outfit who – in the show – was fronted by the male charactare Rory "Riot" Llewelyn. Could these Misfits be the inspiration for Lewis and Ringwald’s characters? Because I can totally see it. Molly Ringwald, of course, is known for her iconic roles in 80s staples like Sixteen Candles, Pretty in Pink and The Breakfast Club. But musically, she has appeared in numerous Broadway shows, and even recorded a jazz album, Except Sometimes, in 2013. Recognize this tune? So, yeah, she’s perfect for Jem and the Holograms. And adding both Molly Ringwald and Juliette Lewis in one day means Jon M. Chu understands how to approach Jem. Now we just need to see it on screen!